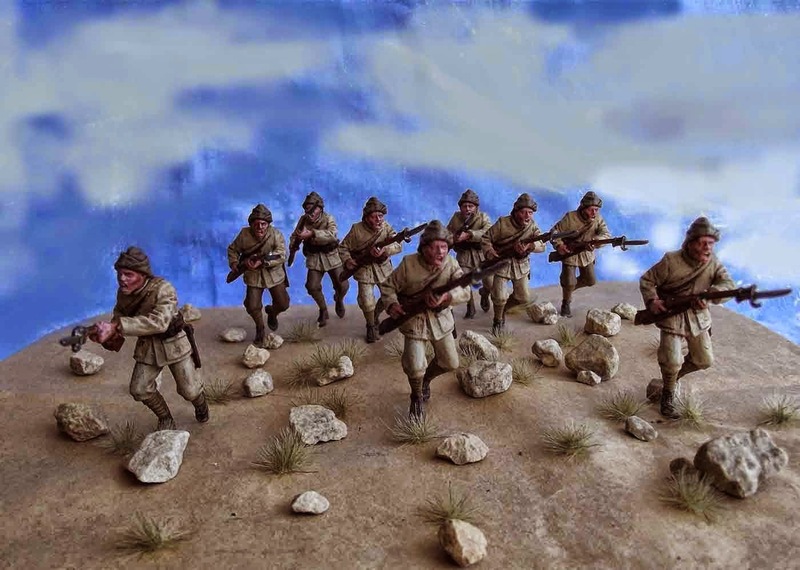 Rodger (Christchurch) has posted a picture of some of the Turks he has just finished painting. 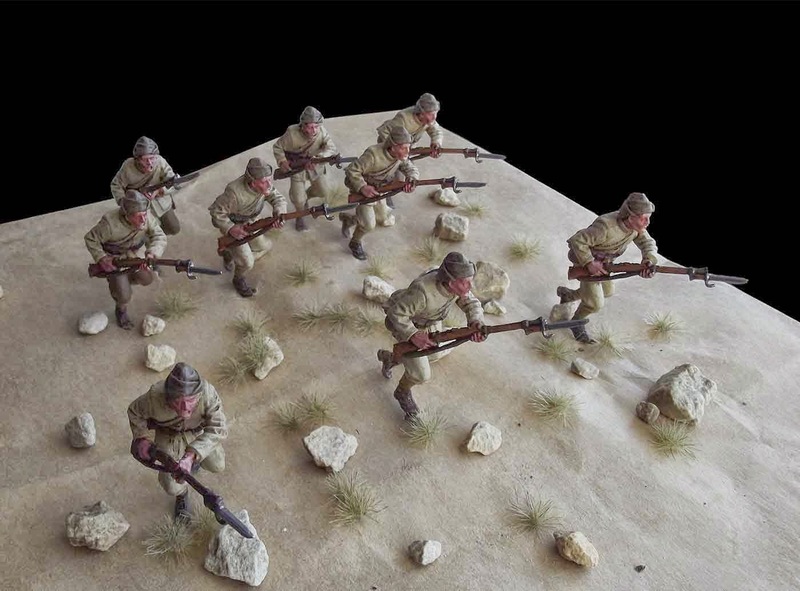 Just for these photographs, he inserted the figures into some temporary terrain. Simple, yet very effective! More pics on his blog here. Thanks Roly. The "ground " is a brown paper bag over a piece of polystyrene. The figures are then pushed through. Drop a few rocks and some grass tufts around the place , and done!